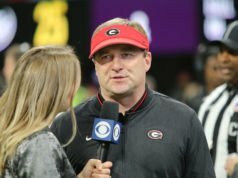 ATHENS, Ga. — Georgia offensive line coach Sam Pittman has been named one of 15 semifinalists for the 2018 Broyles Award, which is presented college football’s assistant coach of the year. 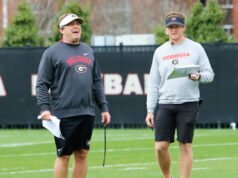 Pittman is in his third year as one of the Bulldogs’ assistants. 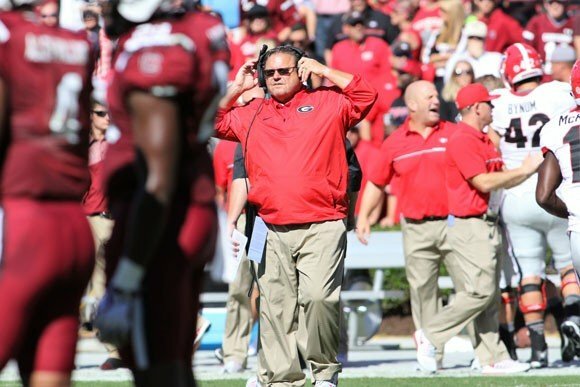 A native of Oklahoma, Pittman is one of only two coaches on the list who are not coordinators. Five finalists will be selected on Nov. 26 to travel to Little Rock, Ark., where the Broyles Award will be announced on Dec. 4. Pittman’s offensive line has been named one of 10 semifinalists for the Joe Moore Award, which is given to the nation’s most outstanding offensive line unit. 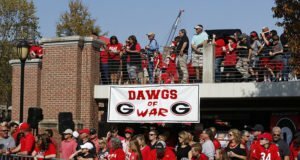 Georgia leads the Southeastern Conference in Rushing Offense at 257.5 yards per game and also leads in SEC only games (232.8). 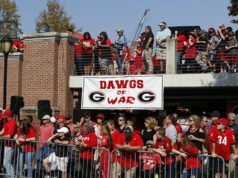 Georgia has started four different alignments on the line, including three freshmen and three sophomores, and has managed to average 39.6 points per game. Current Bulldog head coach Kirby Smart garnered the honor as Alabama’s defensive coordinator in 2009. Former Georgia defensive coordinator Brian VanGorder received the award in 2003 while coaching at UGA.